Roger Derrough has a life-long commitment to environmental stewardship. In 1975, he returned to Asheville and started a small store on North Merrimon Avenue named “Dinner for the Earth”, focusing on organic, local produce and supporting the Asheville Community. Little did we know that this idea would become Earth Fare! As the founder of Earth Fare, he directed Earth Fare’s focus on local food systems and sustainable mission. 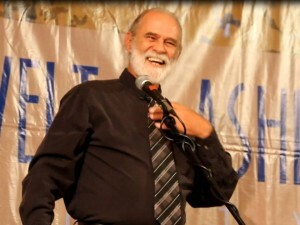 Roger shows the passion and dedication for sustainable food systems and community-centered economies. His dedication to environmental stewardship inspires people around him everyday. Higher Ground strives to produce a gourmet product while supporting the welfare of their producing partners and protecting the environment. Doing the right thing is a positive lesson for current and future generations, and it tastes great too. Higher Ground strives to donate at least 2% of our annual sales to environmental and social nonprofits. They also promote these groups on their website and directly on their packaging sold in retail outlets in 36 states.They have donated over $50,000 to local, regional, and national non-profit groups as of March 2010. Jay’s passion for conservation is evident in his daily life from where he lives to the activities he pursues. Jay grew up hiking, camping, and exploring the Southern Appalachians. He deeply loves these mountains, and revels in their fragile wonder. He is driven to ensure that their ecology will remain intact for the future. The energy, brilliance, and good will that Jay brings as a volunteer is like having a team of top lawyers, negotiators, deal makers, fundraisers and PR experts all rolled into one person working to conserve the best of our mountains. Jay is joyous and unstoppable in his efforts to protect special places. He does this as a volunteer because it is his driving passion. 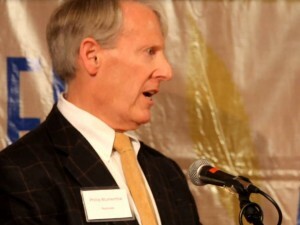 The Blumenthal Foundation was established in Charlotte, North Carolina in 1953, and Philip Blumenthal leads the foundation with outstanding leadership, commitment and philanthropy devoted to North Carolina’s environment with conservation values, persistence, and enthusiastic support of NC’s diverse and magnificent, but fragile environment. Philip has inspired thousands of people and often has helped projects gain the traction they needed to be successful. 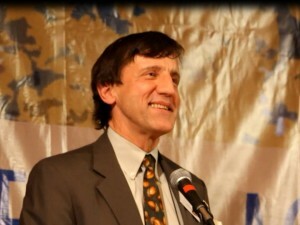 John has been an environmental advocate for over 25 years and covering environmental issues in a journalistic fashion for the past several years. His impassioned style and hard-nosed viewpoint provide a powerful and thought-provoking point of view. John has documented dozens of vital stories, including the 2008 TVA Kingston Fossil Plant coal ash spill that devastated the Tennessee River and local communities, the BP Gulf oil spill, and coal and water issues across the south. His aerial surveillance with SouthWings helped open the eyes of thousands of Americans to what happened there, and to what was being covered up by TVA and state and federal regulators. John’s coverage of the BP Gulf oil spill allowed people all over the world to see images of the devastation. His point of view into this disaster allowed people to understand just how incredible this event was, and how broken our regulatory and disaster response system was. John Wathen is an inspiration to people who fight for rivers, fight for citizen’s rights, and who value conservation over corporate profits. Hilary teaches at her alma mater Riverdale High School in Murfreesboro, TN. She has taught environmental science there for eight years. 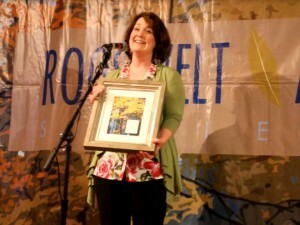 She is currently President-Elect of the Tennessee Environmental Education Association (TEEA) and a member of the Stones River Watershed Association (SRWA). She is full of creative energy and a passion for environmental education that is contagious and makes an impact on those affected. She is certainly an outstanding educator who creates conservationists, not only among high school students, but anyone who meets her along the way. 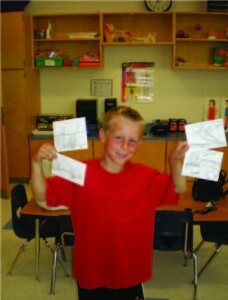 Cole has educated his classmates via a three day education blitz at his previous elementary school in which he collected 2400 hand drawn postcards to McDonald’s and Bojangles about the impact of their paper packaging on our forests. 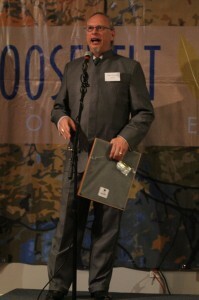 He wrote a play for Odyssey of the Mind about paper’s impact on forests. At his new elementary school in Davidson he recruited seven other local schools to be involved in the campaign and collected nearly 10000 postcards to KFC asking them to stop destroying NC’s forests…And Cole is only ten years old! In addition to getting a response from McDonald’s with a promise to increase their use of post-consumer recycled paper for their packaging, he has finally gotten KFC to notice and plans to continue his efforts until they change. Brad Wyche continues to be a leader in issues of sustainability in the Upstate of South Carolina as founder and Executive Director of Upstate Forever. 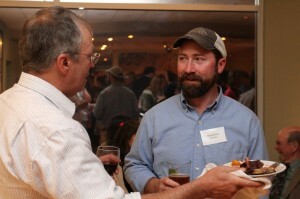 His ability to build consensus while advocating for conservation issues and educating decision-makers and citizens make him a truly outstanding and positive voice in the Upstate. 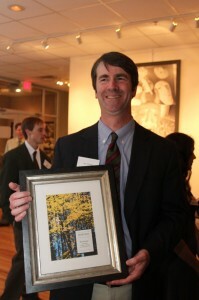 Brad spearheaded Upstate Forever’s efforts to restore Twelve Mile River by advocating for the removal of three dams and restoration of the riverbank, which will ultimately result in the restoration of over 100 miles of a free-flowing watershed.